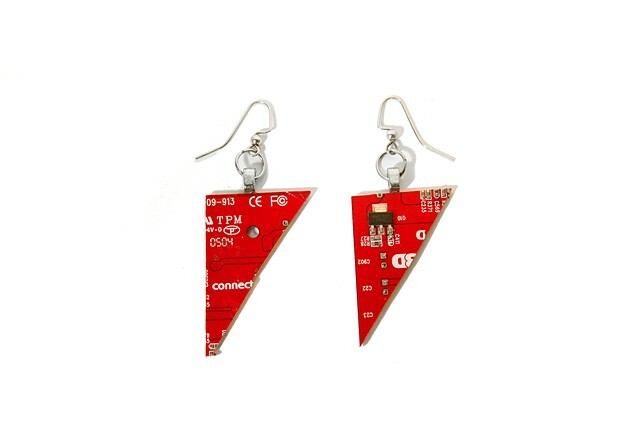 These earrings are made from a section of a computer's mother board. Each earring is a made of triangular piece of red mother board dangling upon silver earring hooks. Each earring is approximately 3 inches long (including earring hook).